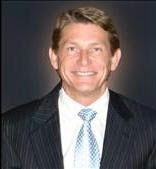 Radio Systems Corporation Chairman Randy Boyd has joined Tennessee Gov. Bill Haslam’s cabinet where he will serve as the state’s new commissioner of Economic and Community Development. He replaces Bill Hagerty, who announced his departure to join the private sector last month. On Wednesday, the governor announced that McQueen, a teacher and dean at Lipscomb University in Nashville, will join his cabinet as commissioner of the Department of Education. She replaces Kevin Huffman, who also stepped down last month to join the private sector. Tennesseans with college degrees or certificates from 32 percent to 55 percent by the year 2025. Haslam has said that his work resulted in the Tennessee Promise program, which provides two free years of community college to the state’s graduating high school seniors. 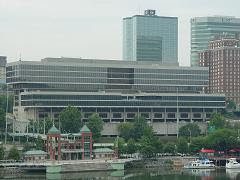 The Knoxville resident has received several awards including Ernst and Young’s Entrepreneur of the Year for the Southeast in 2008, Tennessee Business Magazine’s CEO of the Year in 2009, UT’s Entrepreneur of the Year in 2009, and was inducted into Junior Achievement’s East Tennessee Hall of Fame in 2008. In 2009, Boyd helped start tnAchieves, a non-profit organization that has sent over 10,526 high school graduates to community college free of charge with mentors and was the model for the Tennessee Promise program. Boyd also currently serves on the board of a number of organizations including the University of Tennessee College of Business Dean’s Advisory Council and Knox County’s Great Schools Partnership. 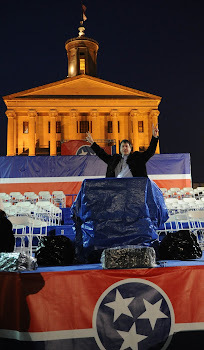 He received a bachelor’s degree from the University of Tennessee in industrial management in 1979 and a master’s in liberal studies from Oklahoma University in 1988. He and his wife, Jenny, have two sons, Thomas and Harrison.